If you are wondering how Hurricane Harvey will impact the local Katy real estate market, or you’re looking for information about FEMA, you’ve come to the right place! 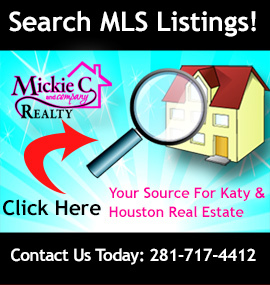 As your Katy real estate agent, I’d like to share some helpful information with you, and provide you with links where you can learn more. Harvey is not the first hurricane to reach the shores of Texas, and history shows that home sales will likely decline in the months following a hurricane, but then will rise a year from now. (The same is true for jobs in the area.) If your home was under contract before the hurricane, it will likely need another inspection prior to closing. Because inventory will decline for a time, it may put pressure on existing listings and rentals, and rents and prices may rise. However, inventory could also soon increase from homeowners who wouldn’t have sold otherwise, but who are now ready to move away from hurricane territory. Homeowners may also buy second homes they wouldn’t have normally bought, in order to have somewhere to live while their current homes are repaired. Local economist Ted Jones shared an informative summary on how hurricanes affect housing markets, with graphs from past hurricanes to back him up. You can check out these white pages here. 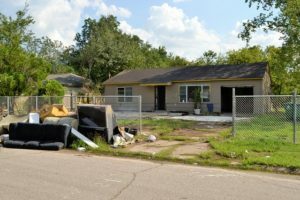 If you are interested in learning about the FEMA Home Buyout Program, you can learn more in this informative article from Harris County Flood Control District. They explain why the process takes so long, and they state that they will most likely begin making offers on properties they would like to buy within the next four months. If interested, you can register to request to be bought out if you were flooded from Harvey. Someone will call you within 24 hours to discuss. In order to be considered, your home needs to be located deep within a mapped floodplain and subject to repetitive flooding. HCFCD purchases complete swaths or tracks of homes in floodplains and turns them into a drainage facility or pond, or a natural preserve, to prevent homes in these areas from being flooded again in the future. Other helpful websites to know about include the Harris County Flood Warning System, where you can view rainfall amounts from rain gauges throughout Harris County and see how much rain typically falls in your area, and how close the nearest watershed is to you. This can help you plan for your future. This Harris County Flood Education Mapping Tool allows you to view floodways from a map and to see if your property is currently in a 100-year or 500-year floodplain. This is great if you are planning to relocate in the Katy area, but would first like to see where watersheds are located near potential properties, and where the nearest floodways are located, which are the main corridors that water will travel down and will be most heavily impacted by flooding. If you have questions about any of this, feel free to contact me, your Katy real estate agent, and I can either answer them or point you in the direction of someone who can. If you’d like to buy or sell in the Katy real estate market this fall, contact me! Even with Harvey issues to deal with, activity in the market never ends. Contact me, and let’s discuss your home-buying or home-selling options right now!